Data volumes are rising, performance needs are becoming increasingly critical and, at the same time, cloud offerings like Microsoft Azure are entering the market. To master the challenges effectively without having to invest in your own infrastructure, and have flexibility in doing so, we want to take a look today at one option that you can find on Azure that will allow you to perform speedy and complex analyses on your data without much hassle. 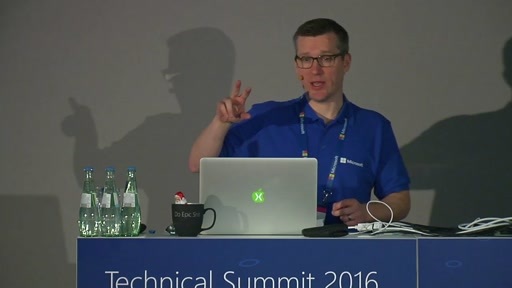 In this session, we will introduce you to EXASOL, a German analytical high-performance relational in-memory database that is available on Azure. We'll also give a brief demo on how easy it is to set up, to load data and to start querying and analyzing. Carsten started his career developing software for foodstuff inspection after finishing his studies in business IT technologies. He then moved on to become a consultant and project manager for software development projects primarily in the finance business working for Steria, now Sopra Steria. He continued his career in 2007 building up and heading the EXASOL presales team, selling a database solution for complex, high-performance analytics and data warehouse scenarios. After a hiatus of three years during which he co-founded a company that provides a toolset to help organizations analyze their business processes and identify bottlenecks and efficiency gaps, he rejoined EXASOL as Technical Alliance Manager earlier this year. At EXASOL, Carsten helps our partners to leverage the adoption of EXASOL at their clients and to maximize the success of their applications through integrating EXASOL in their software stack.